What is it like working both in front of the camera and behind the camera? – Just ask producer/writer/actor: Adam Saunders! Not only did Adam Saunders produce the heartfelt movie, “Family Weekend” which has the perfect balance of a touching, genuine message and good laughs; but Adam Saunders also starred as the amusing character “Rick” in the movie. Needless to say, “Family Weekend” is a fantastic movie that surpasses the likes of “two thumbs up”! I, Alexisjoyvipaccess chatted with the super talented Adam Saunders on the red carpet at the “Family Weekend” NYC special screening and asked Adam Saunders about his role, what it’s like for him seeing himself acting as well as his work he produced on the big screen, and more! Check out my VIPAccessEXCLUSIVE interview with Adam Saunders below along with some VIPAccessEXCLUSIVE pictures I took of the cast of “Family Weekend” at the NYC special screening. Thanks for the wonderful interview, Adam! **You can also read my VIPAccessEXCLUSIVE interview with Adam Saunders below! Alexisjoyvipaccess: Can you tell us about your role in the movie? Adam Saunders: Yeah! I produced the movie and I also play the role of “Rick” in the movie so, very excited about it, it’s been a long journey and we’re happy to be here tonight! Alexisjoyvipaccess: Excellent! What is it like for you seeing yourself on-screen; but also seeing the work that you produced? Adam Saunders: Well it’s a very different job! The acting part is the fun part. It’s a very short; producing took two years and the acting part took two weeks so that’s the really fun part; but overall I love producing, that’s the work that makes sure the movie gets made. Alexisjoyvipaccess: Definitely! So lastly, if you could bring out a message to all your fans and viewers, what message would that be? Adam Saunders: Come out and see the movie! Tell all your friends and go see “Family Weekend”! Alexisjoyvipaccess: Definitely! Spring break is coming up, go check it out in theaters! Adam Saunders: That’s right! Good for families everywhere! Thank you! 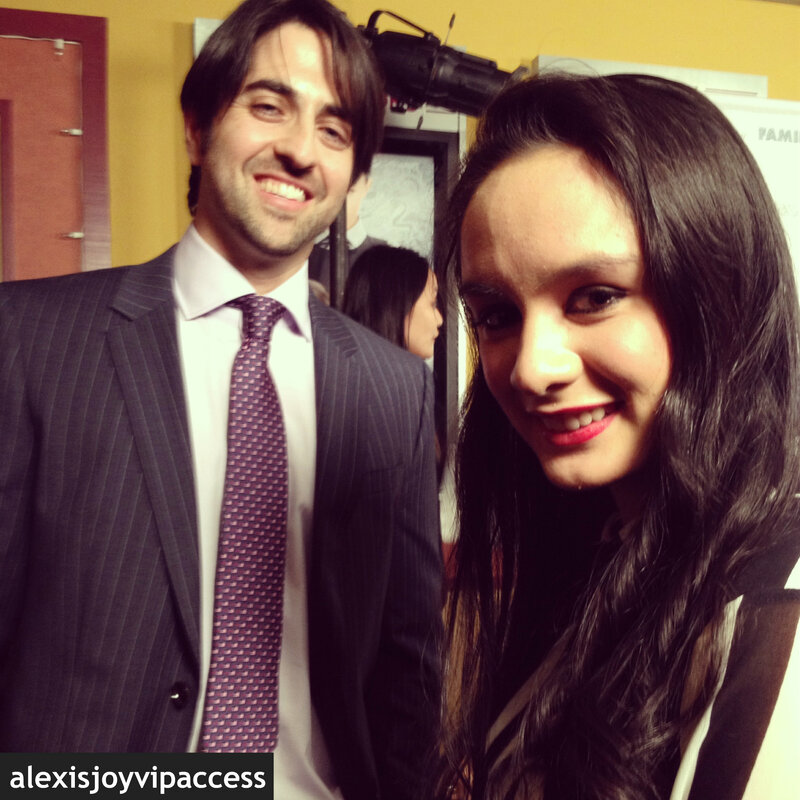 Alexisjoyvipaccess: Thank you so much for talking with me! Next Alli Simpson Looking Uber Posh On Set Of Her Faze Magazine Photoshoot 3/26/13!